Music inspired by Eastern Europe from duo Fran & Flora. Why one in ten children suffer from maths anxiety and parents can help. Virginia Hall, SWWII legend in espionage. 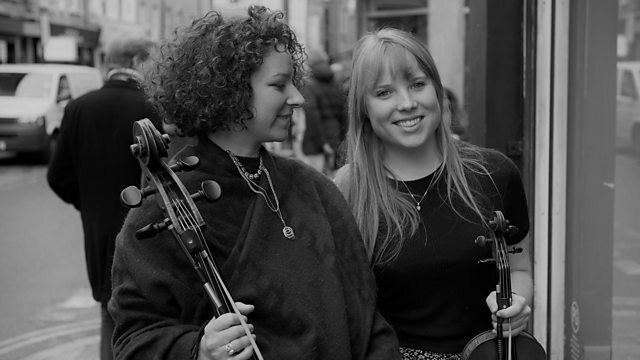 The folk duo, Fran and Flora play Eastern European inspired music from their album, Unfurl. The former Prime Minister of New Zealand Helen Clark, tells us about her recent work with the children’s charity World Vision where she’s been trying to help eradicate child marriage in Afghanistan. According to recent research Maths anxiety is real and one in ten children suffer from despair and rage when faced with the subject. We hear from Kayla Fuller who suffered from maths anxiety at school and from Lucy Rycroft Smith a research and communications officer at Cambridge mathematics. Do cultural attitudes to women and pain stand in the way of effective treatments? We're joined by Katy Vincent, Senior Pain Fellow at the Nuffield Department of Women’s and Reproductive Health at the University of Oxford. Sonia Purnell on her book, A Woman of No Importance, about Virginia Hall an American turned British spy who overcame a lost leg to become a legend in espionage and guerrilla warfare. And Hallie Rubenhold tells us about the five female victims of Jack the Ripper. She's written about their lives in her new book The Five.